Plastics have attracted a lot of media attention recently due to growing concerns over their impact on wildlife and the environment. Not all plastics are toxic and some are easily recycled at home, but knowing which types can and cannot be recycled is not always easy. 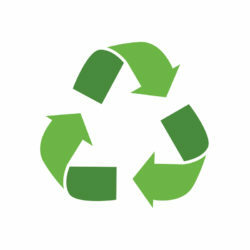 There are seven different types of plastics, some commonly recycled, others almost never recyclable. Below is a brief overview of the various categories with a short description and their recycling status. Commonly used in consumer products such as soft drink bottles and some packaging. It is recyclable but not suitable for repeated use. Most commonly recycled plastic used in products such as milk jugs, oil bottles and some plastic bags. Soft, flexible plastics used in products such as clear plastic food wrapping, cooking oil bottles and toys. Commonly used in plastic packaging such as Airsac, polyethylene foam, bubble wrap, plastic carrier bags, air pillows and stretch wrap. Tough, lightweight plastic with excellent heat resistance properties. Commonly used for plastic bottle tops, potato chip bags and packing tape. Ultra-lightweight plastic commonly used in products such as take-out food containers, egg cartons and foam packaging (EPS). ***Sometimes recyclable – not widely recycled at kerbside. Check the recycling options with local authorities. Some supermarkets nationwide offer a recycling facility for category 4 plastics. Macfarlane Packaging can offer a wide range of paper alternatives to plastic packaging and suggest the most-optimised, sustainable solutions for your operation. To find out more, read our blog article Paper alternatives to plastic packaging, or contact us to find out more. Why plastic recycling is so confusing?